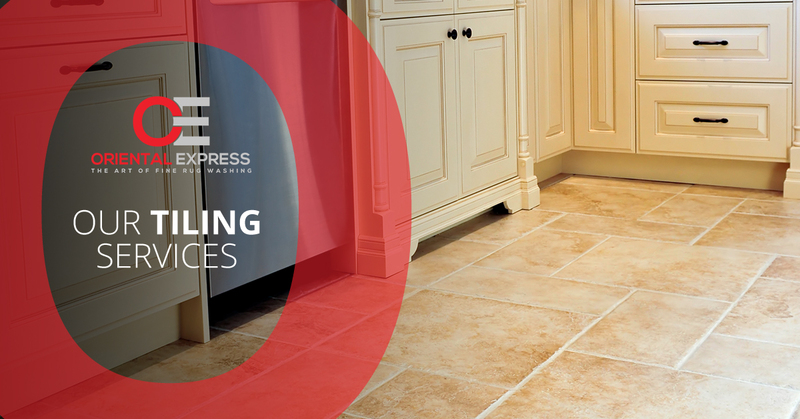 In addition to our Persian rug cleaning, Oriental Express offers tiling cleaning services. Tiling plays an important role in a home. Chances are you installed tiling to match the specific style and aesthetic of the rest of your house. For many homeowners, the tiling work in the bathroom and kitchen areas, whether that be on the countertops, floors, or walls, plays a vital role in the design and aesthetic of the space. When you decided you wanted tiling in the first place, you most likely looked for a tiling contractor who had a good track record of thorough work, an eye for detail, and an efficient and effective work ethic. But have you put as much thought into tile cleaning? The tiling in your house was an investment, and it’s an element that you enjoy for many years to come. That is why investing in professional tile cleaning will benefit you and your household. As Persian rug cleaners, our team at Oriental Express knows how to be thorough with our tiling cleaning jobs. There is nothing worse than choosing a tiling cleaning company only to realize that they are producing sloppy results. The attention to detail and consistency that we devote to our tiling work is no different than our rug repair and cleaning services. When it comes to cleaning the tile in your house, you may be tempted to do it yourself. However, it’s best to get into the habit of calling a professional for this job. There are, of course, simple tasks you can do to maintain the look and cleanliness of the surface, like wiping down when there are stains and disinfecting when necessary. However, when it comes to deep cleaning the area, including the surface, between the tiles, and the grout, a professional can get the job completed effectively and efficiently. Depending on how big the surface of tiling is, cleaning the area yourself can be a time consuming task, and there is the chance that you wouldn’t be as thorough as a professional tile cleaner. Here at Oriental Express, we know the importance of devoting a keen attention to detail and thoroughness to each project we work on, whether that is rug cleaning and/or repair or tiling cleaning. The integrity that is seen in our Persian rug cleaning services is evident in our tiling cleaning work. We pay close attention to the details — when it comes to completely cleaning tiling, there is no other way to successfully get the job done. Located in Las Vegas, Oriental Express is not only your Persian rug cleaner of choice, but also the company to call when you need your tiling cleaned in your home. If you have any further questions about our tiling cleaning services, give Oriental Express a call today. Our team of professionals are ready to clean your rugs, tiling, natural stone surfaces, upholstery, and drapery. We look forward to helping you achieve cleanliness in your household!